The Seal of Yahuwah encompasses far more than has previously been understood. It offers spiritual protection to all who live in accordance with the divine law. This includes worship on the seventh-day Sabbath, New Moons, and yearly Feasts. Seriously. What would you give the person who needed nothing? You wouldn’t give even your best attempt at a painting or sculpture to Michelangelo. You wouldn’t give a plate of chocolate chip cookies to Julia Child or sew a shirt for Christian Dior. When words are not enough, a heart full of love longs to show the love felt by some action. So what do you give the person who has everything? The problem is even greater when you want to give the Heavenly Father a gift. What could you possibly give to the Creator that He doesn’t already have, hasn’t already thought of or can’t make for Himself just by saying the words? When words are not enough, when no gift is sufficient, when a heart overflowing with love yearns for some way to demonstrate that love, there is only one thing left. Willing obedience. When all the man-made traditions are laid aside, there are not very many things the Creator actually requests of His creatures. “He has shown you, O man, what is good; and what does Yahuwah require of you but to do justly, to love mercy, and to walk humbly with your Eloah?” (Micah 6:8) The only thing for which the great heart of infinite love yearns is willing obedience from a heart filled with love. That’s it. Willing obedience from a heart full of love. Sadly, too many people would rather give something, anything, else. They would rather cling to man-made traditions and requirements. The often difficult to fulfill obligations of pharisaical rules feed human pride and make them feel better about themselves. They are like an angry Namaan when Prophet Elisha told him that to be cleansed of leprosy all he had to do was wash in the Jordan River. But Naaman was wroth, and went away, and said, Behold, I thought, He will surely come out to me, and stand, and call on the name of Yahuwah his Eloah, and strike his hand over the place, and recover the leper. Saying, Hurt not the earth, neither the sea, nor the trees, till we have sealed the servants of our Yahuwah in their foreheads. The seal of Yahuwah is the most precious spiritual gift available to every soul living on earth. Only the seal of Yahuwah can provide eternal life and the spiritual protection necessary to face the days ahead when the wrath of Yah shall be poured out unmixed with mercy upon an unrepentant world. The mark of the beast has been pondered over, preached on and argued about for generations. But the one thing that will protect you from the mark of the beast is glossed over and understood by few. As demonstrated in other articles on WLC, the seal of Yahuwah is received when the repentant believer worships the Creator on His holy seventh-day Sabbath, calculated by His luni-solar calendar. Diligent study of the Scripture, however, has impressed upon the minds of the WLC team that the seal of Yahuwah encompasses more than just the weekly Sabbath (lunar Sabbath). It includes all Yahuwah’s holy days because it is given only to the obedient heart. 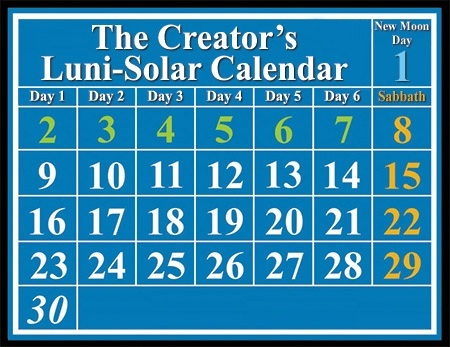 There are four weekly Sabbaths in every lunation (month on the luni-solar calendar). New Moons are holy days that begin each new month and the point at which the weekly cycle begins again for the new month. The accuracy of Yahuwah’s appointed method of time-keeping, the moon, is why it has been called a faithful witness. “It shall be established for ever as the moon, and as a faithful witness in heaven.” (Psalm 89:37) There are 12 or 13 lunations every solar year, every one of which begins with a New Moon worship day. People do not like to obey these simple requirements. They find them inconvenient, even embarrassing, to admit to friends and co-workers that one keeps the Jewish feasts! No one likes to be different and worshipping the Creator of All by a different calendar does make one different. Very different. So. What do you give the Being who, literally, has everything? Willing obedience from a heart full of love. 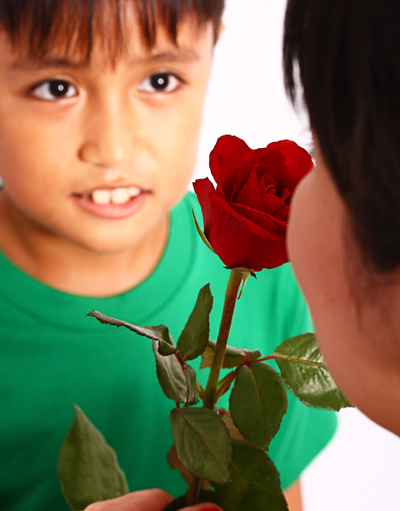 Wise parents teach their children to express gratitude because gratitude for gifts bestowed awakens love and trust. Yahuwah knew that His creatures needed to have a way to demonstrate their love for Him. He lovingly provided a way in which that could be done: setting aside His holy days for worship. Satan tempts many to view worship days as the stamp that guarantees their ticket to Heaven. Nothing could be further from the truth! “Yahuwah is a spirit; and they that worship Him must worship Him in spirit and in truth.” (John 4:24) Worship that is viewed as an obligation is not true worship. True worship can only come from a heart of love. Willing obedience, then, is the highest form of worship. It is not, nor can it be, an act designed to procure favor. If it is, than by definition, it is not worship. The lost will not be just those in open rebellion. Many who claim to be Christians, who have worked at their religion, who have “worshipped” as a means to an end (guaranteeing their entrance to Heaven) will, ultimately be lost. Those who receive the seal of Yahuwah are those who have entered into a close, intimate friendship with the Redeemer and His Father. They have done the will of the Creator because they love Him. Period. To know Yah is to love Him. If you know Him, you will love Him and if you love Him, you will want to obey Him in all things, including when to worship. Hereby we do know that we know him, if we keep his commandments. But whoso keepeth his word, in him verily is the love of Yahuwah perfected: hereby know we that we are in him. A close and loving relationship is simply not possible when gratitude and love are withheld or when efforts are not put forth to make the other person happy. Yahuwah, as the Creator of All, understood this. He does not need your worship. He does not even need your gratitude. But you need to give it. With the entrance of sin, a great gulf was fixed between fallen sinners and the holy, divine Father. It was to bridge this gulf, to bring the fallen into a closer communion with Him, that the Father instituted the yearly feasts. It was His intent that, as the people gathered at appointed times throughout the year they would remember with gratitude and love, His blessings and protection. A good parent will arrange circumstances to provide their child with opportunities to give back to the parent. Daddy does not really need another tie. Mommy does not need another pincushion or a lop-sided cake. But because the child needs to experience the joy of giving, wise parents provide their children with the opportunity to do so. By requiring the children to say “thank you” for everything that is given to them, whether it be a simple glass of water, or a meal or a present, the child is developing love and recognition that the parent is the loving giver. The child, as the receiver, is thus developing gratitude and this, in turn, develops love.This is the real value of worship and the purpose for faithfully setting aside weekly, monthly and yearly times to worship: gratitude that begets love. The Heavenly Father requires the observance of holy days as a process of generating gratefulness in our hearts for all He does for us. This is very obvious in an agrarian society. Crops grow because “He maketh his sun to rise on the evil and on the good, and sendeth rain on the just and on the unjust.” (Matthew 5:45) Today, when most people purchase their food from grocery stores or markets, it is even more important to take the time to realize from whence our blessings come, and acknowledge the goodness and generosity of the provider. When gratitude is awakened in the heart of the believer, love is awakened and trust is deepened. This is how the individual enters into a close and intimate friendship with the Saviour so that, at last, He will accept them because He knows them. The word “know” in Scripture is significant. It conveys a much deeper knowledge than a surface acquaintance. “And Adam knew Eve his wife; and she conceived and bare…” (Genesis 4:1) Those who cry, Lord! Lord! have had a surface acquaintance with Him. But only those who are intimate with Him are those He truly knows, because they know Him. Is it possible to be saved without ever worshipping on Yah’s holy days? Of course. Scripture assures us Yahuwah does not condemn sins of ignorance. “The times of this ignorance Yahuwah winked at; but now commandeth all men every where to repent.” (Acts 17:30) Sins of ignorance are not held against any who sincerely desire to do what is right. However, none who know Yahuwah’s requirements can, with impunity, continue to disregard them. This would be living in open rebellion. Yahuwah’s intimate friends, those who love and adore Him, will gather at appointed times, by His appointed calendar, throughout all eternity. “And it shall come to pass, that from one new moon to another, and from one sabbath to another, shall all flesh come to worship before me, saith Yahuwah.” (Isaiah 66:23) Now is your opportunity to get to know the One who loves you like no other. Commit to worship Him on His holy days, calculated by His original calendar. The rewards for sharing a close friendship with your Maker are as infinite as eternity. 1 Ellen G. White, The Great Controversy, p. 627. 2 Ellen G. White, Spiritual Gifts, Vol. 4b, p. 77. 3 Noah Webster, American Dictionary of the English Language, 1828 ed. 4 The fact that New Moons were instituted at Creation is proven by the fact that the luni-solar calendar itself was Yahuwah’s appointed method of time-keeping from the Creation of the world. Genesis 1:14-15 states: “And Elohim said, Let there be lights in the firmament of the heaven to divide the day from the night; and let them be for signs, and for seasons, and for days, and years: And let them be for lights in the firmament of the heaven to give light upon the earth: and it was so.” The word translated “signs” comes from ôwth, #226. It means a beacon, monument or sign. The word translated “seasons” comes from mô’êd, #4150. It refers to the worshipping assemblies of Yah’s people and is used throughout Leviticus 23 to refer to the yearly festivals.